Geelong is my hometown, so I can safely say that this is an in-depth locals guide to the city. 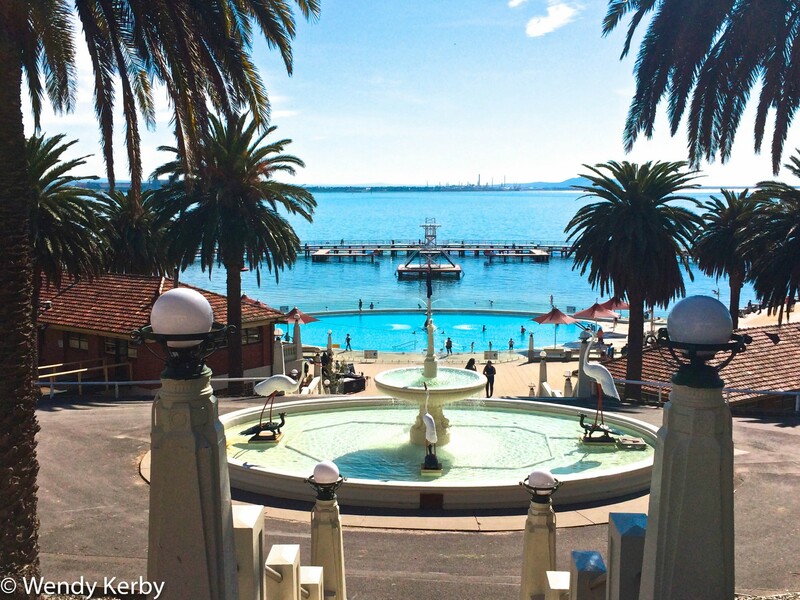 I have picked the best things to see and do in Geelong. In fact the list started with 50 things to see and do in Geelong, but the list just kept growing. 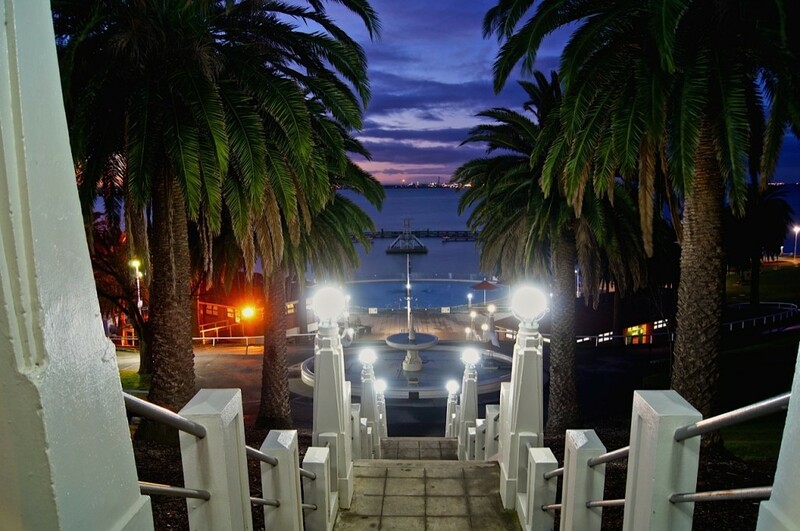 Geelong is a lovely waterfront city with a unique town-like appeal. Spend a few days exploring the city itself and you will discover some little hidden gems. Geelong has come a long way over the last 20 years, the result is a magnificent waterfront that continues to evolve as tourism is on the rise. 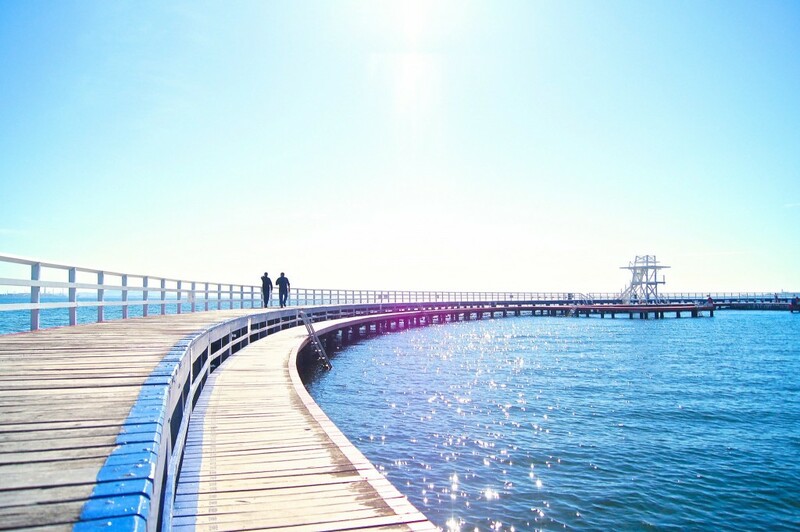 During the summer, Geelong’s population swells with holiday makers visiting the city and surrounding region for some fun in the sun. 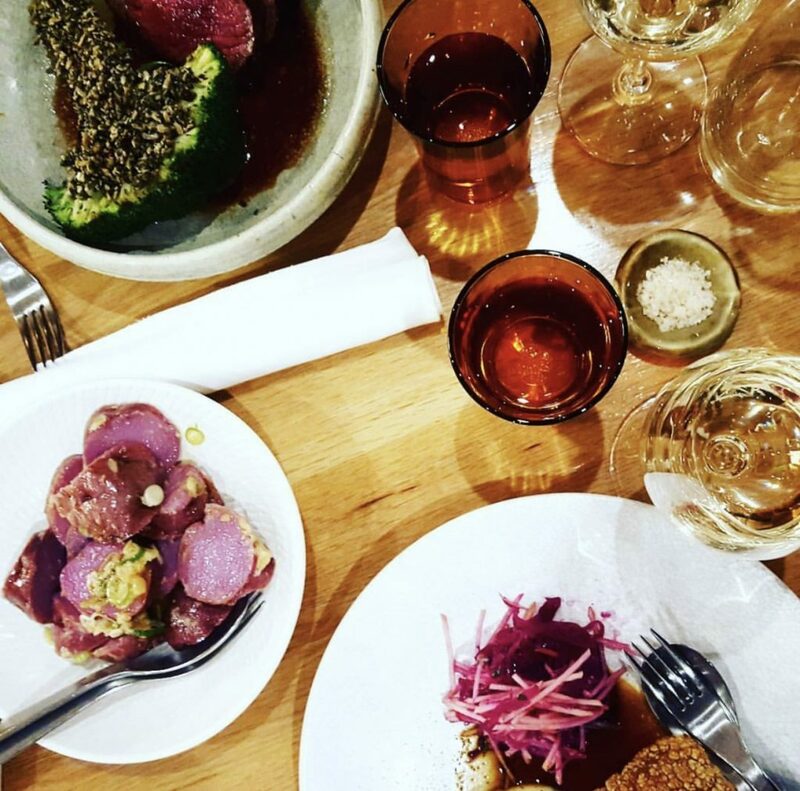 All that awaits is the world to discover what the locals already know – make Geelong a destination on your itinerary. 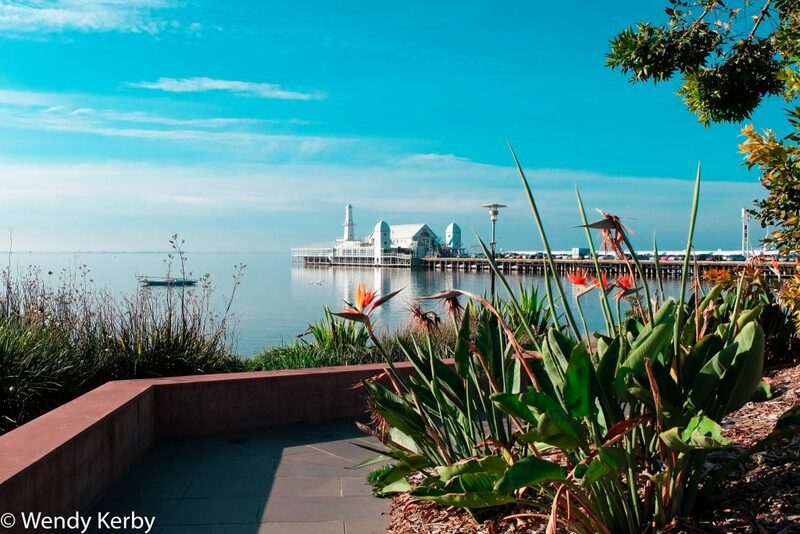 A mere one hours drive from Melbourne, Geelong offers a seaside retreat away from the hustle and bustle of a large metropolitan city. The waterfront exudes a relaxed social vibe filled with people enjoying the many restaurants, cafes, parks and activities lined along the beach road. There are also a number of popular bars that also serve as meeting places for the locals and tourist alike. 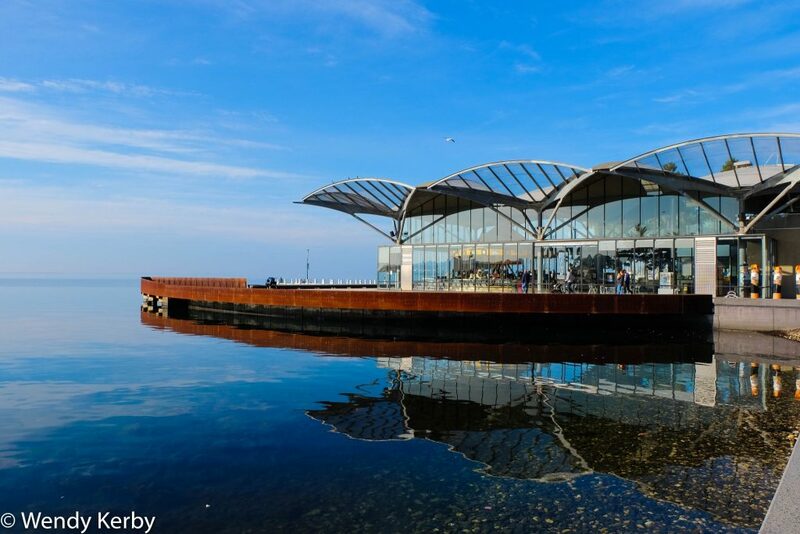 It’s location makes Geelong the ideal base for visiting a number of world class tourist attractions within Victoria. 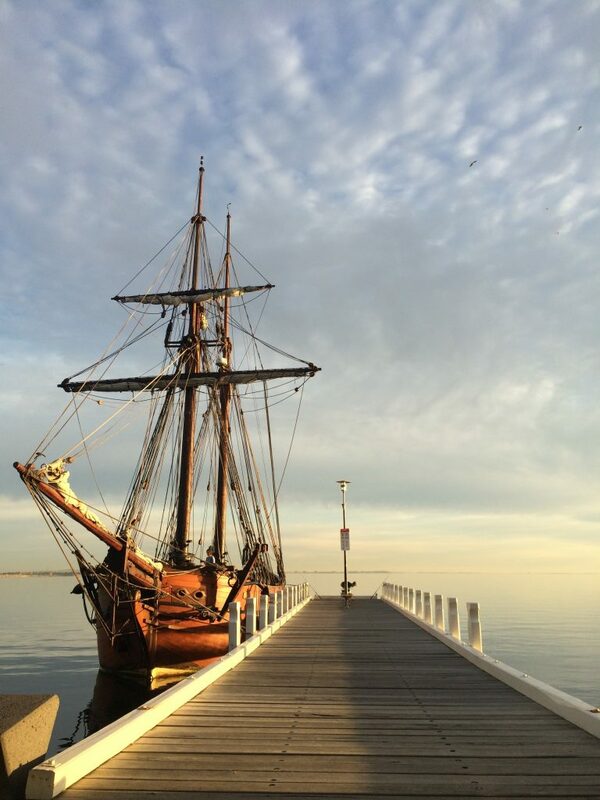 Anytime is a good time to visit Geelong but even more so in the summer months, when there is a lot of activity and numerous festivals along the waterfront. The Christmas holiday season sees Geelong become Australia’s home of Christmas celebration, with Australia’s tallest (and only) floating christmas tree, standing over 25 meters tall. City light projections and christmas spirited activities are located throughout the city. There is a positivity about the city that is not captured anywhere else. 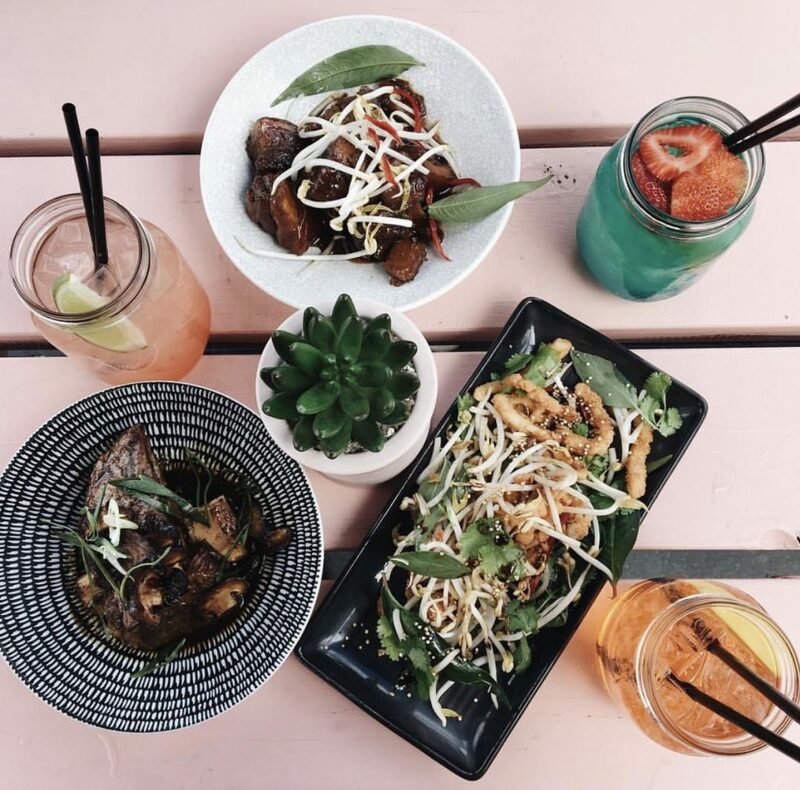 Summer is also a time where pop-up bars appear, festivals and night markets (such as the nightjar in February). Winter is a lot quieter during the week although weekends remain the hive of activity along the waterfront any time of year. 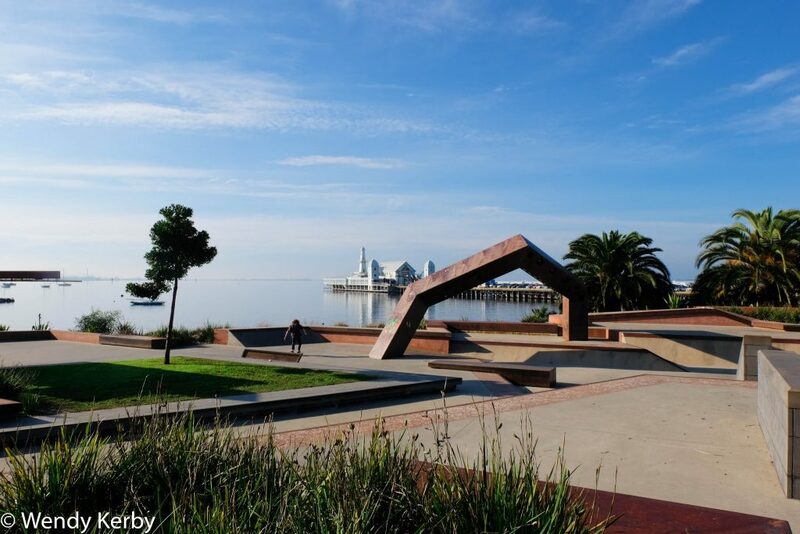 The heart of Geelong and where all the action occurs, the waterfront precinct encompasses Eastern Beach & the Promenade, Steam Packet Gardens that is spread out over 2 km. Within this area you will find many things to do, see and photograph. Towards the eastern part of the beach is some steep hills that offer some great opportunities to photograph the whole waterfront region. 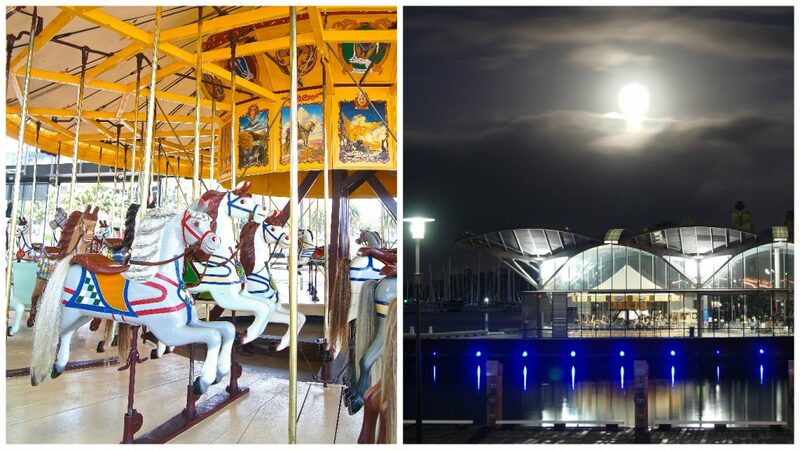 In no particular order, here are over 50 things to see and do in Geelong and the surrounding region. If you are a local and you think that something really great is missing from the list, then lets get in contact. Email me via traveldrinkdine@gmail.com or just as simple, leave a suggestion in the comment box at the very bottom. Eastern Beach has been enjoyed by many generations since it was commissioned for a revamp in the 1930s. The style has remained unchanged since and is a fine representation of an Art Deco era. From the the top of the stairs you will be rewarded with a magnificent view out to the bay. As you come down the stairs, you will pass by the fountain with the stork and tortoise statues, the pool and the wooden promenade. There is also a sandy beach for those who like to frolic in the water or fancy a little beach volleyball. If you land there on the right day, you may be lucky to witness the calm bay that looks and glistens like plate of glass. 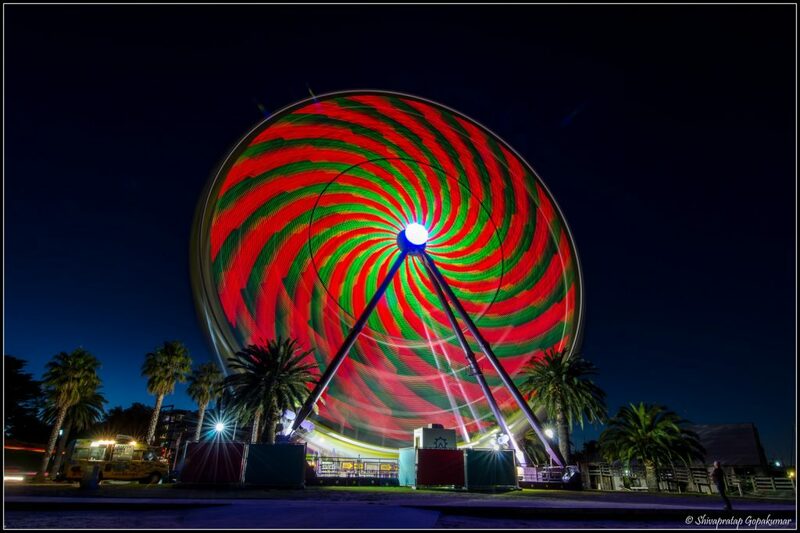 Every summer, Australia’s largest travelling Ferris Wheel makes it’s home along Eastern Beach. Be sure to take a ride, for you will find a wonderful panoramic view over Geelong at the top. If you been down at one of the restaurants along the waterfront for lunch or dinner, then why not wander on down afterwards, get yourself a ticket and finish your day off with a bit of fun. This marvellous carousel, is a restored 1892 Armitage-Herschell portable steam-driven carousel (wow that was a mouthful) and is housed in a specially designed enclosure. The band organ provides a delightful carnival-style music that is synonymous with carousels from a bygone era. The organ itself is also part of the original, being restored to retain some Gavioli parts such as the wind chimes, bellows and the hand carved conductor. The original organ was manufactured in Paris around 1898. This is a firm favourite with the little ones but also as popular with the ‘big’ kids too. Located on the waterfront next to Steampacket Gardens. See more of Geelong off the ground with a helicopter flight. What better way to get a birds eye view over Geelong, than to hop onboard a helicopter and explore the region by air. If you have never been in a helicopter before then this is your ideal opportunity. Why? Because you don’t have to pre-book it, you can just turn up on the spur of the moment and take a flight. Prices are very reasonable for such an amazing breathtaking experience. Geelong helicopters operate daily from the Yarra Street Pier, on a walk in basis. Scenic flights can be taken over Corio Bay, Geelong CBD, the Surfcoast and the Bellarine. Whilst you have been wandering around the marina, you may be wondering what to have for lunch or dinner? 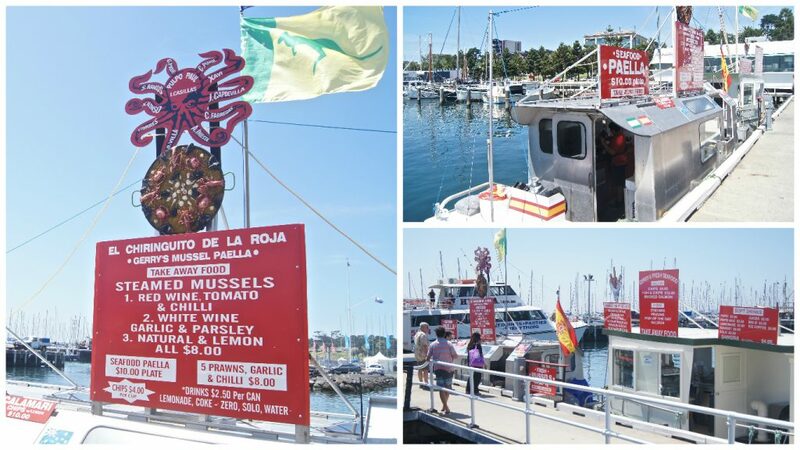 Then feast your eyes on some fresh mussels or delicious seafood Paella that are being cooked up straight off the boat. The prices are a bargain for this takeaway meal. Once you have your Spanish feast, find yourself a picnic spot somewhere along the waterfront and enjoy! Now this is where kids and teens love to come for some care-free, good old fashioned summer fun. There are a number of diving platforms located around and within the shark protected enclosure. People have been jumping off these very same diving platforms since the 1930s. The art deco platforms are wonderfully maintained, so as to ensure future generations can enjoy all the fun here too. The wooden promenade is not only somewhere to enjoy during the summer months, it’s equally a nice place to go for a peaceful stroll during the winter months too. The double wooden promenade was restored during the 1990s during a total revitalisation of the area. The Geelong locals came out in full force, including individuals, families and businesses to help fund the restoration by buying a plank. Each plank has a bronze plaque to recognise these locals contribution. 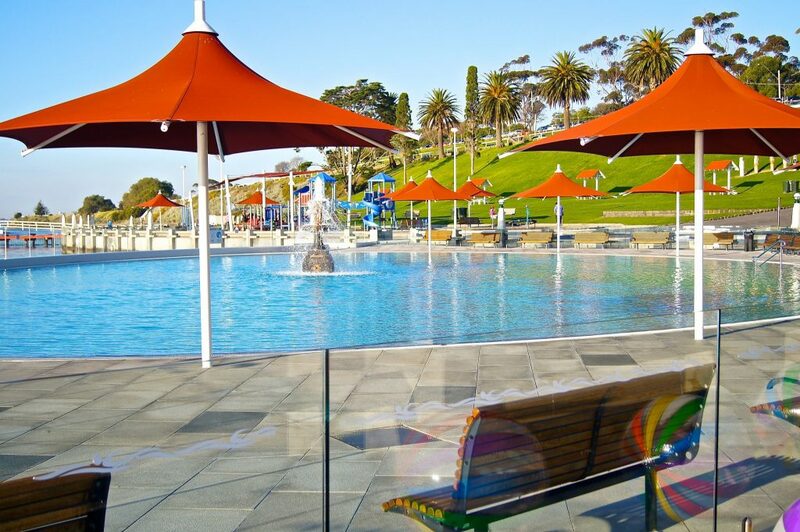 Located right in front of the Eastern Beach swimming enclosure and promenade is a free public swimming pool. The pool is shallow and suitable for children and it is open all year round. Also located close by is the original lifesavers pavilion which also houses changing rooms and toilets facilities. Winter above versus Summer below. If you want to be scared out of your wits then this two hour night tour will do just that. Geelong Ghost Tour takes you through one of Australia’s largest 1800’s convict prisons after dark. Explore the prison for 90 minutes and be haunted by stories from within these walls. The tour travels through the most intact 3 story cell blocks in Australia, shower block, punishment cells, exercise yard, chapel, kitchen, infirmaries, surgery theatres. Tours are limited to 30 people, and are led by a team of professional theatrical historians. Tours start at 8pm and depart every 30 minutes depending on demand. 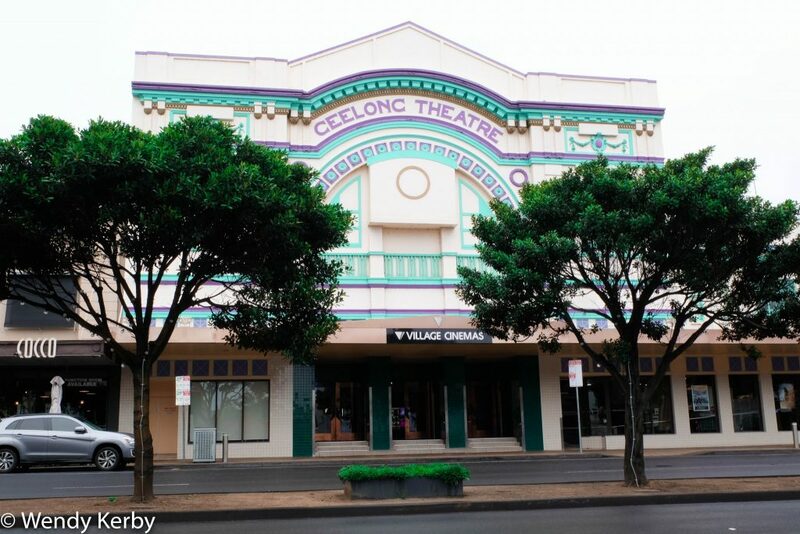 * Geelong Council released a statement back in 2014 of it’s intention to sell off this important piece of Geelong’s history but have yet to find tenders, so as such the tours continue to operate. Segway Geelong operates on the waterfront in Geelong and out of Leura Park Estate Vineyard on the Bellarine. 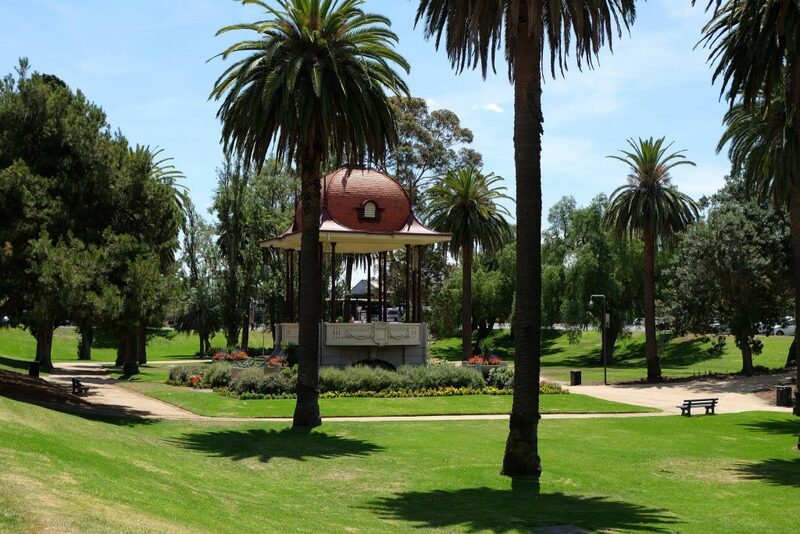 Segway Geelong offers tours every weekend year round and daily from mid December till the end of January. 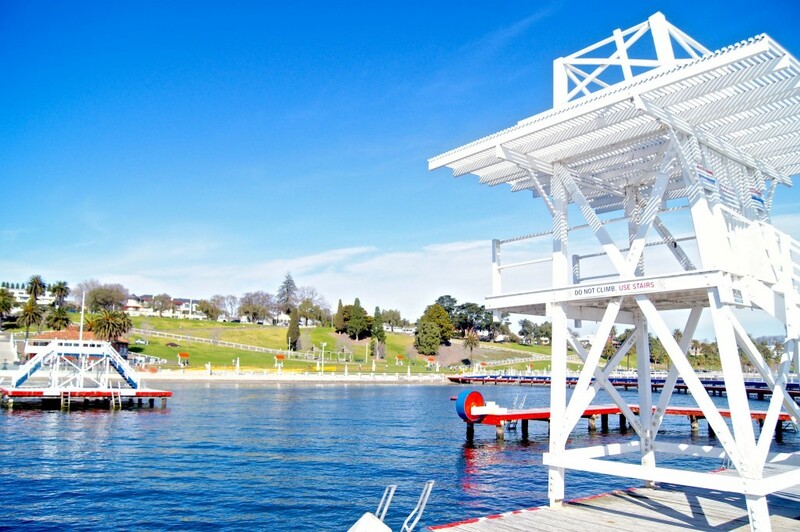 The Geelong Waterfront Tours run on weekends at 2:30, 4:00 and 5:30pm. All tours need to be pre-booked. For more info at segwaygeelong.com. A visit to Geelong or Australia for that matter, isn’t complete without witnessing an Australian Football League (AFL) game. Simonds Stadium in Geelong is one of three venues within the state of Victoria to host AFL premiership matches and it is the only city to do so outside of Melbourne. The stadium itself is impressive with the edition of the ‘Cats Claws’ rising from the side of the building and the recent addition of the stadium lights that can be seen all over Geelong. Simonds stadium is the home ground of the Geelong football Club or as they are known around Geelong as ‘The Cats’. There is nothing more exciting than game day, when 20,000 fans descend on Simonds stadium to cheer on their team. During the AFL season, Geelong Football team plays around 8 home games at Geelong throughout the season (Between April and August). 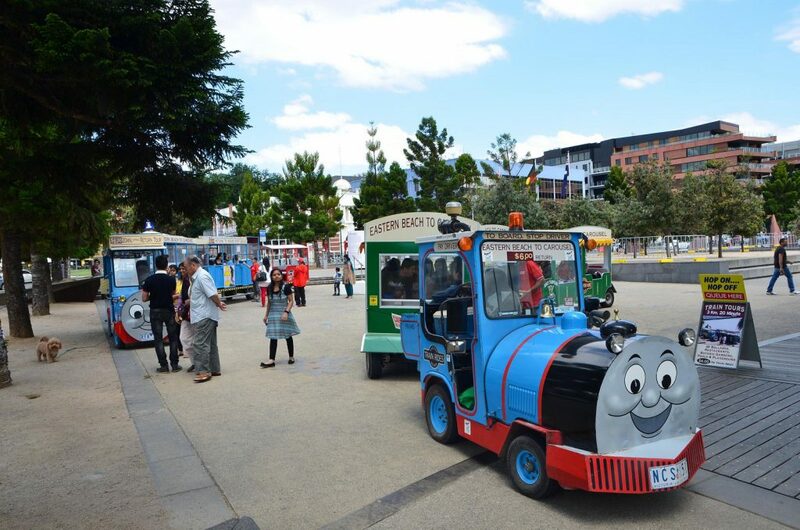 Starting at the Carousel, the miniature train will take you on a leisurely ride along the waterfront to the Eastern Beach Pools and back again. The train is about a 20 minute ride, leaving from the carousel every 30 minutes. The train operates every weekend, school and public holidays. There are 104 huge painted icons guiding visitors along the foreshore walking/cycling track from Rippleside Park, through Waterfront Geelong to Limeburners Point and the Botanic Gardens. They represent a fascinating and fun chronicle of the city’s past, focusing on some of the unique characters who played a part. Among the sculptures are a Koori family, English explorer Matthew Flinders and a Portuguese explorer which stand overlooking Corio Bay near Limeburners Point. At Eastern Beach, you can see bathing beauties from the 1930s and Ian McDonald, the city surveyor who drew the plans for the landmark sea baths. The bollards are the work of artist Jan Mitchell. 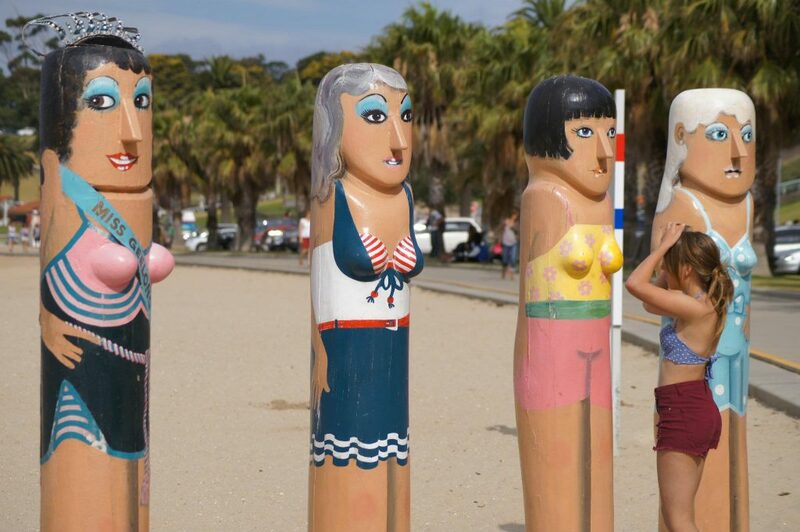 Jan was commissioned by the City of Greater Geelong to transform old timbers and piles from a city pier, that was damaged by fire in the 1980s, into remarkable works of art that stop young and old in their tracks. Welcome to the Dome! 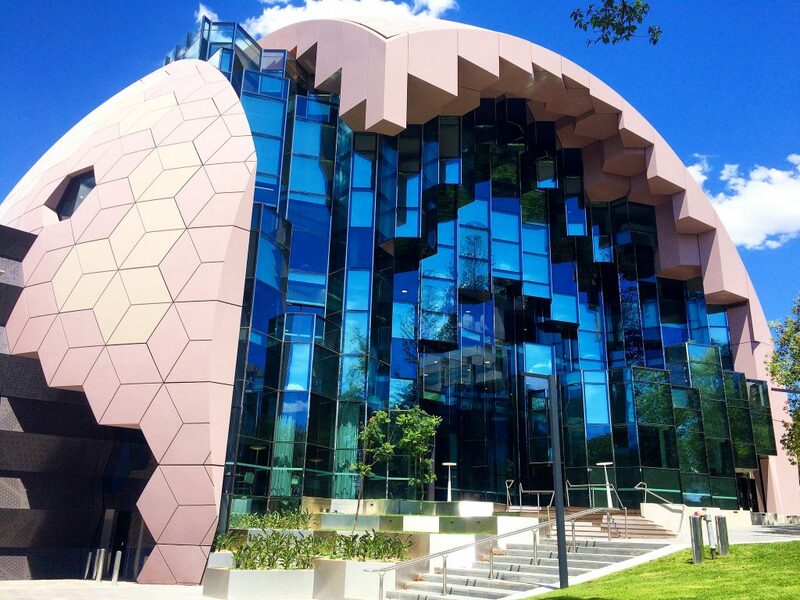 Situated in the city’s art and cultural precinct is this amazing designed Library and Heritage Centre. This library is guaranteed to challenge the way you think about libraries forever. This iconic building spans over five levels all available to the public. The library houses a diverse collection of print, multimedia and heritage items. Reading rooms, free wifi and high speed internet access. It doesn’t stop there, with high-end digital technology including digital way-finding kiosks, video wall, gaming machines, internet-access computers and mobile devices, smart tables and exploratory technology including virtual reality and 3D printing. Wait there’s more! There is also an entire floor dedicated to children and young people, with age-appropriate collections, digital technology and activity spaces. Opening soon will be a cafe that seats 80 with an outdoor deck overlooking Johnstone Park. Head up to the fifth floor and enjoy some lovely views over Geelong’s waterfront from the deck. 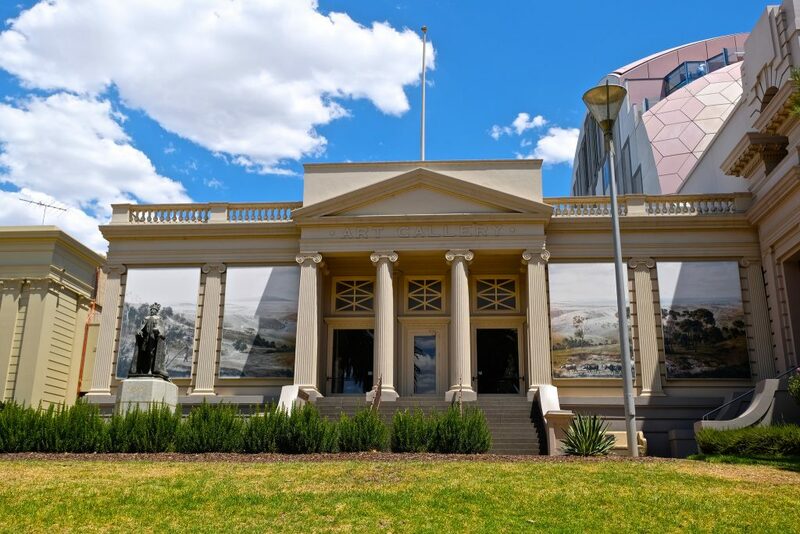 The Geelong Art Gallery showcases a vibrant artistic program of some 20 temporary exhibitions each year along with a diverse range of artist talks, tours, workshops, lectures and family-friendly activities. Established in 1896, the Gallery has amassed one of the nation’s finest collections. From colonial masterpieces to compelling contemporary works, the Geelong Gallery’s renowned permanent collection includes Australian and international paintings, works on paper, sculpture and decorative arts as well as new media, and is home to a number of iconic works such as Eugène von Guérard’s ‘View of Geelong’ (1856), Frederick McCubbin’s ‘A bush burial’ (1890) and Arthur Streeton’s ‘Ocean blue, Lorne’ (1921). 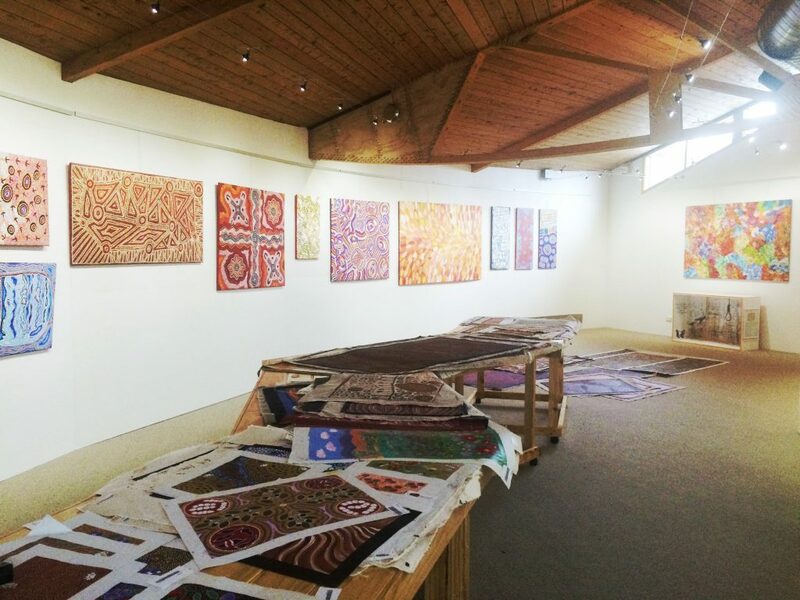 Narana Aboriginal Cultural Centre is an award winning venue that helps you discover and explore the Aboriginal culture. There are educational programs for large groups or you are able to explore the centre on your own. The staff are very welcoming and will be only too happy to guide and answer your questions. 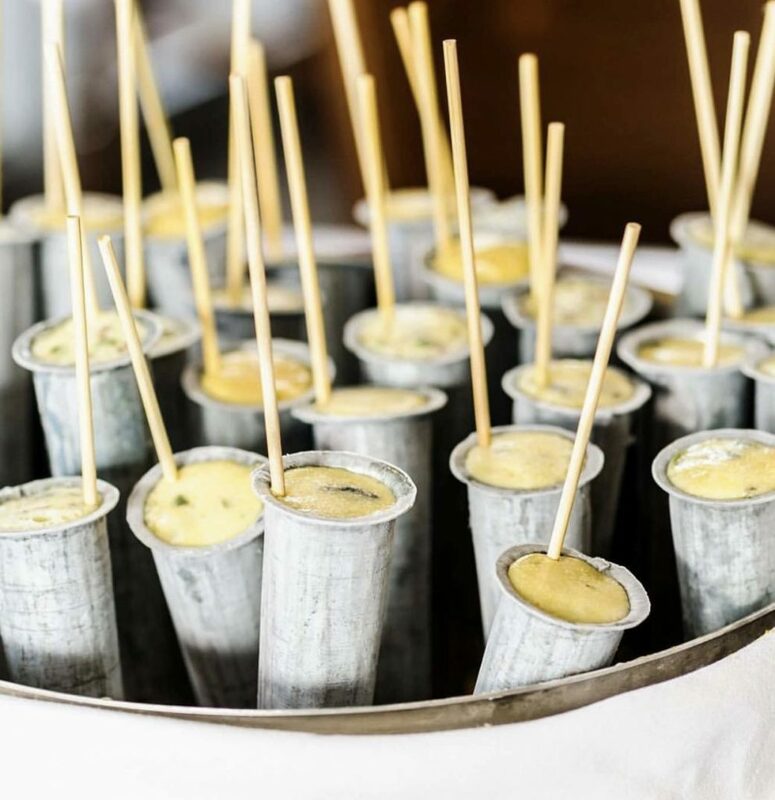 There is an onsite cafe that offers you a chance to try ‘bush tucker’, along with contemporary favourites. Check out the Art gallery with the opportunity to purchase original pieces. Get outdoors where there is a native garden with emus wandering about. The gift shop is also an interesting place to check out, with uniquely Australian products and yes you can purchase a boomerang or a digeridoo. 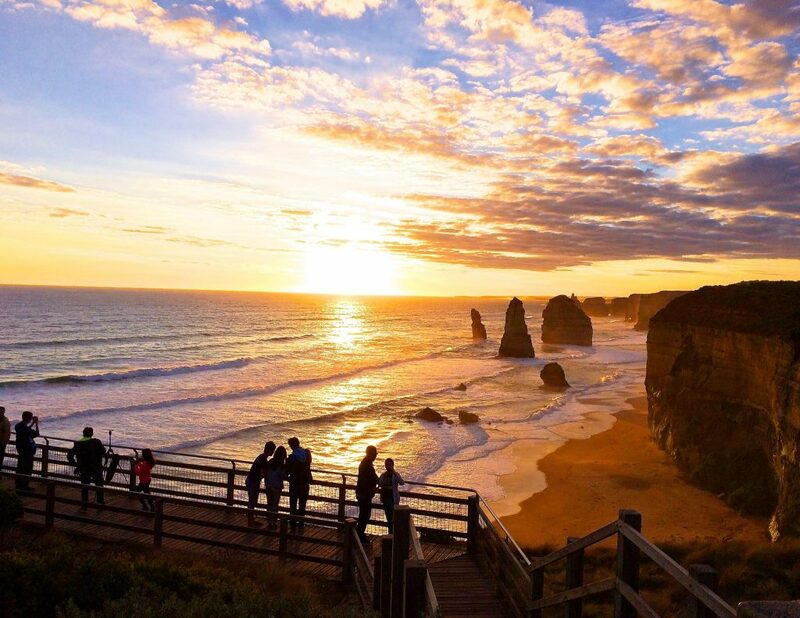 If you are on your way to visit the Great Ocean Road, why not combine it with a visit to Narana. The National Wool Museum chronicles the wool industry journey, since the arrival of sheep with the First Fleet in 1788. Sheep farming at Geelong began in 1835 and the first of many woollen mills opened here in 1868. A fun fact is that the city was once known as the ‘wool centre of the world’. In 1988, the National wool museum was established, where visitors can learn the history of the wool industry and that of colonial times in Geelong. GPAC is the performing arts hub for Geelong and districts where over 220,000 people interact with live performance each year. 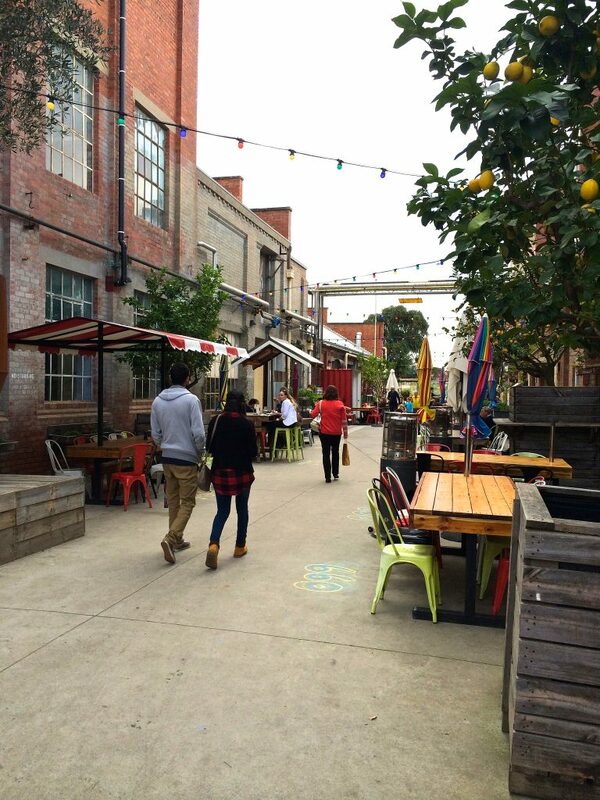 GPAC is in Little Malop Street, part of the Geelong Cultural Precinct. The Potato Shed is a multi-arts facility on the Bellarine Peninsula and provides a vibrant arts complex that serves as a multi-purpose arts and cultural centre for joint use by Bellarine Secondary College, St Ignatius College and the regional community. Offering a diverse program, workshops, a range of all age events (such as mini maestros) and an exciting theatre season. The Potato Shed is becoming a centre for youth lead arts and culture venue with the help from Crash Course Productions. Find out what is happening at the Potato Shed Facebook page. Geelong has two cinema complexes, one in the city with an art deco style building operated by Village Cinemas and the second is operated by Readings Cinemas located at the Waurn Ponds shopping centre. Both offering multi sessions, super-sized screens and Gold Class. Village boasts 9 screens whilst Readings offers 8 screens, so you will sure to find a session and movie to suit. An independent cinema screening quality films every day. The films are hand-picked from around the globe, including independent, foreign, documentary and art-house movies. The focus here is screening quality movies at an affordable price. The cinema is fully licensed and also offers a candy bar. During the summer month of December every Friday becomes an open air cinema in Steampacket gardens. Steampacket gardens is a large open space that can accommodate large crowds. Bring your rug, chair or bean bag, sit back and enjoy a family friendly Christmas movie. 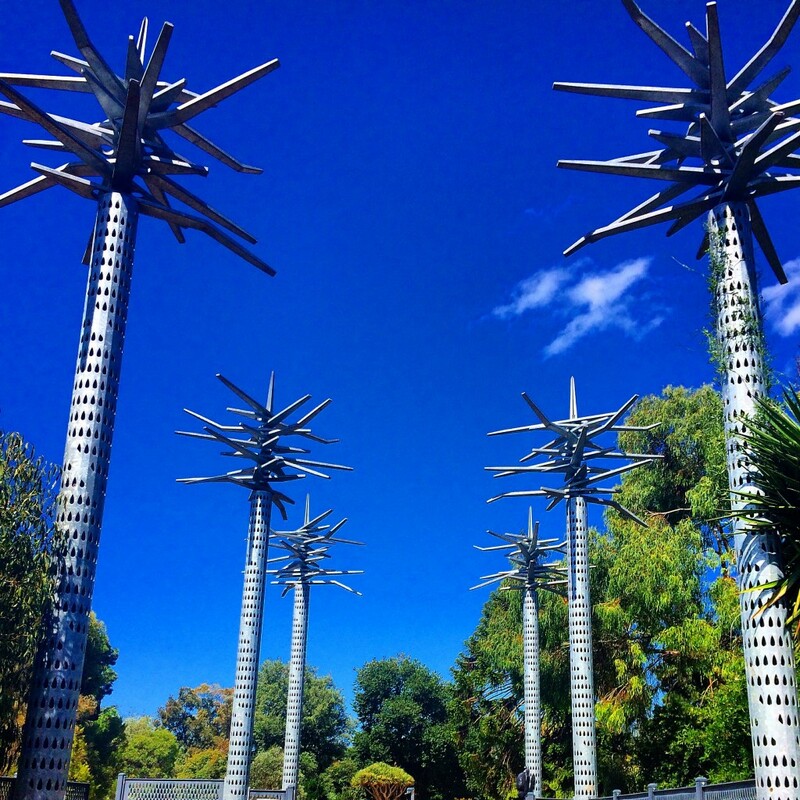 There is a number of public art displayed around Geelong. 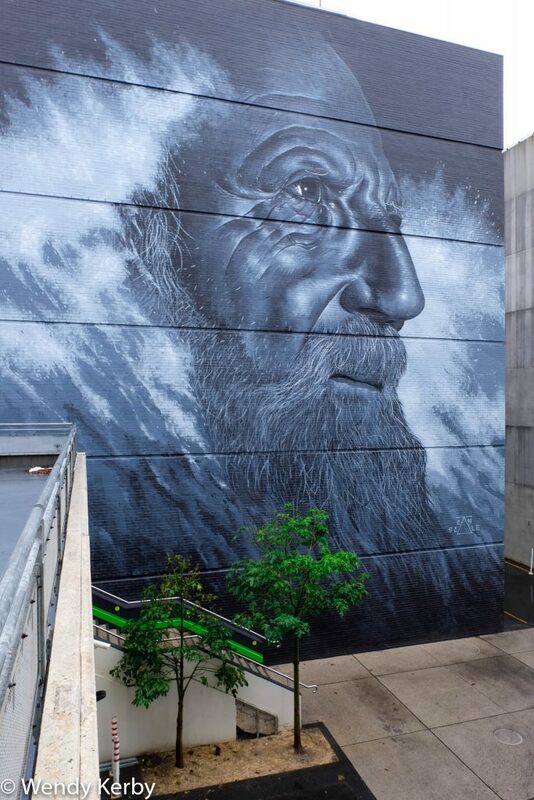 Pictured bove is one of the most recognisable in Geelong, simply called ‘North’. Is it shark fins or sailboats? Other artworks are the Barcode fountain which takes the barcode from Noddy’s soft drink and spans the length of the grass in front of Customs House. Paving splats in front of the Carousel, Flux near the Art Gallery and the Reflection Seat heading towards Limburners point. Like Melbourne, Geelong has little treasures hidden down it’s lane ways, the more obscure the better! 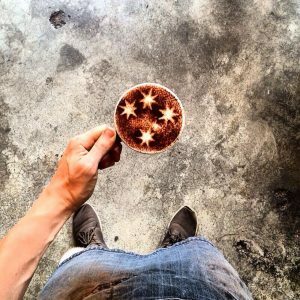 Discover little cafes, wine bars, graffitied lanes and restaurants. 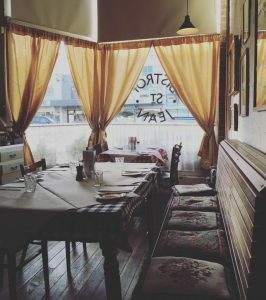 Head down to Little Malop Street and explore the lanes in the area. The Seafarer looking out across Corio Bay. Take a walk into the city and head down Little Malop Street. There are a number of lanes in this area that have been dedicated to Graffiti Art. 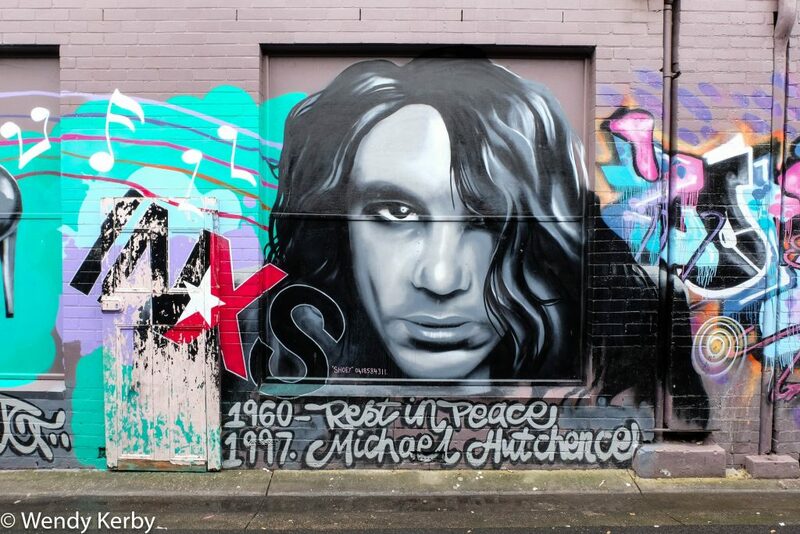 Powerhouse Geelong is Victoria’s largest ‘canvas’ for street graffiti art. Many pieces are displayed over 5 stories high and include the works of both Rone and Mayo. 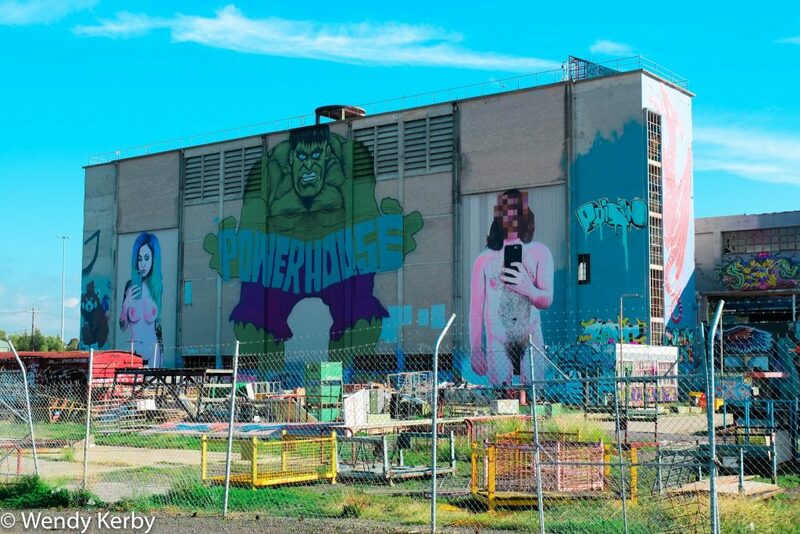 There are over 50 other well known street artists from around the world, who have left their amazing work on and inside this derelict building in North Geelong. High on impact, originality and colour it’s a photographers dream. 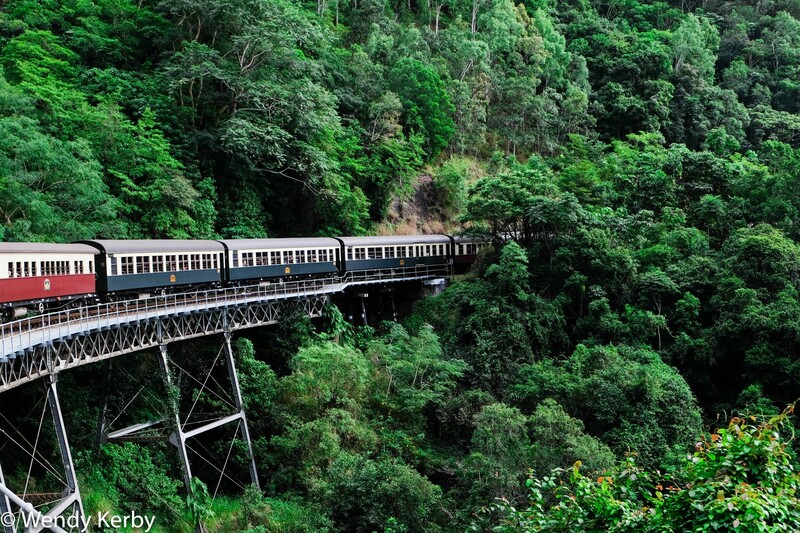 Jump onboard the legendary Blues Train for a ride you will never forget! Combining a meal, four of Australia’s best blues acts and a train ride along the historic Bellarine Railway, The Blues Train is a one-night mini-festival and a progressive party. The Blues train runs on Saturday nights from August to May. During December additional shows run on Friday nights. Once a month on a Sunday afternoon the Hygeia takes on passengers for their Blues Cruise. The large bay cruiser sails around Corio Bay whilst featuring various blues acts. Housed in an old woollen mill and retaining it’s character, is the Little Creatures Brewery. It’s one of two Little Creatures Brewery in Australia, with the original opening in Perth. The Geelong locals flock to this place, enjoying an afternoon on the craft beers. Make sure you try a Furphy as it is only made in Geelong. 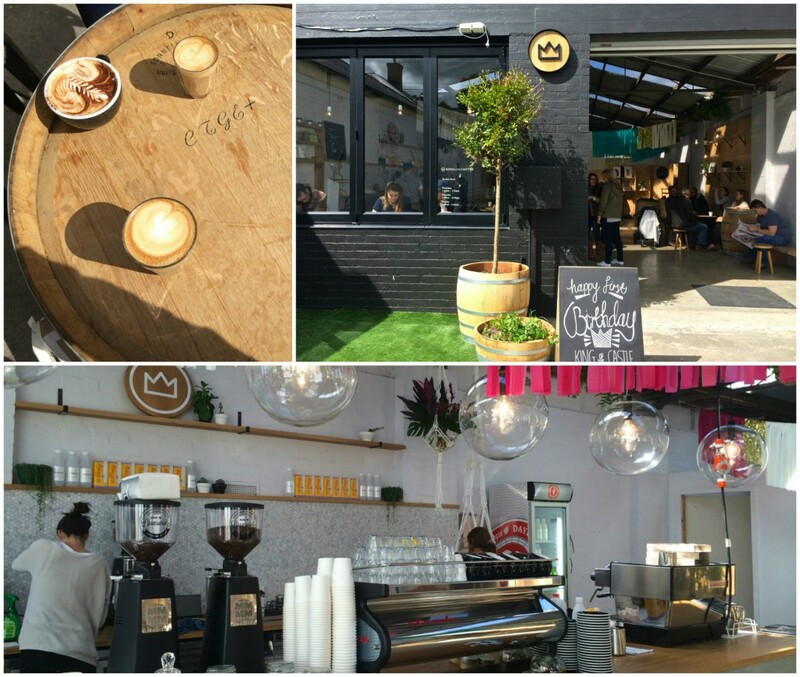 Little Creatures is a family friendly venue, where parents can sit, meet and enjoy the atmosphere. Little Creatures has a sister brewery in White Rabbit. Originally located in Healesville, it out grew it’s original digs and joined the brewery village in Geelong in 2016. It’s right next door to Little Creatures. It features an impressive barrel hall for ageing beers and offers beautiful eats from the Provedore. The Odyssey Tavern & Brewery was the first Craft Beer Venue in the Geelong & Surfcoast region. It’s locally owned and operated and offers 8 rotating taps of craft beer and cider. Drop in for a beer, something to eat and enjoy the live music on Friday & Saturday nights and of course Sunday arvos! Located on the Bellarine Peninsula, sits this impressive cider house with an expansive al fresco dining area. Here you can enjoy the cider tasting paddles, along with a great selection of beer and wine. Food is also top notch and one could find themselves whiling away the hours on a sunny day. There is a lot of wine flowing in Geelong, with over 40 boutique wineries, producing award winning wine. There are three distinct regions producing wine – the Moorabool Valley, Surfcoast and the hugely popular Bellarine Peninsula. The Bellarine Peninsula impresses with it’s beautiful cellar doors, high quality restaurants and the unbeatable scenery, with some overlooking a glistening bay. On a clear day you can catch a glimpse of Melbourne’s city buildings. Ask any Geelong local and they will be sure to tell you which is their favourite winery and why you should visit. Not only does Geelong Segway offers tours in the Geelong CBD but they also operate out of the Leura Park Estate Vineyard on the Bellarine. 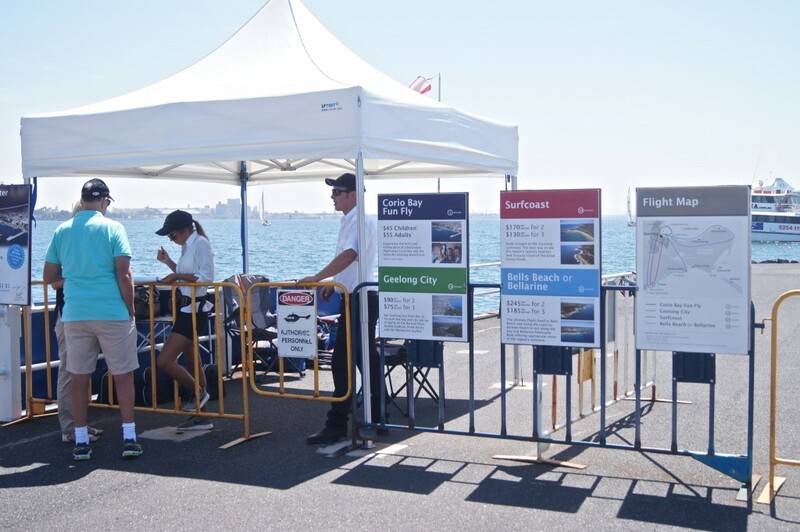 Segway Geelong operates tours every weekend year round and daily from mid December till the end of January. 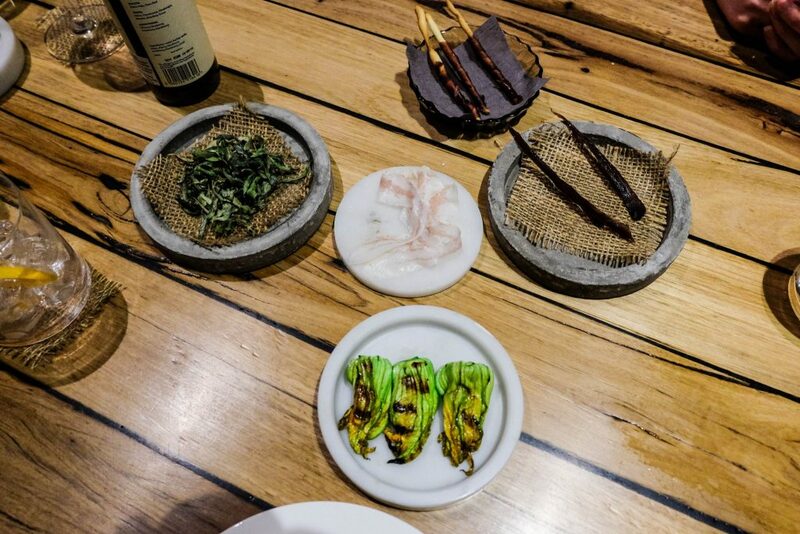 The Bellarine’s showpiece package includes a beautiful lunch, complimentary wine tasting and glass of wine (or other) with your meal after your segway tour. There is also a Ride-Only option on any day. A special Twilight package is offered daily in Daylight Saving months beginning at 5pm. All tours need to be pre-booked. For more info check the website segwaygeelong.com. Can’t decide on which winery to visit? Why not take a winery tour, visiting a number of wineries in an afternoon. During daylight savings, twilight sailing is offered to visitors who would like to try sailing on Wednesday nights. To book your place on a boat please contact the Geelong Yacht Club office on 5229 3705. A large scale shopping centre with just under 200 stores. Major tenants include Myer, Target, Coles and Big W. There are three food courts, a flyover with views to the bay and 187 speciality stores. Located on the site of Geelong’s original town square is the Market Square Shopping Centre. Located opposite Westfield, it is smaller than it’s neighbour with just under 100 speciality stores. A boutique shopping street with an international flair. Home of surf retail giants such as Rip Curl, Roxy and Quicksilver. Don’t forget to check out Surf World, a museum that shows the history of surfing within Australia. Affectionately known as “Pako” to the locals. Shopping, boutiques, cafe and cultural food. The long shopping strip is divided into two distinct sections. The North, considered the cosmopolitan and multicultural part of Geelong, and the South, simply called the river end of Pakington Street. 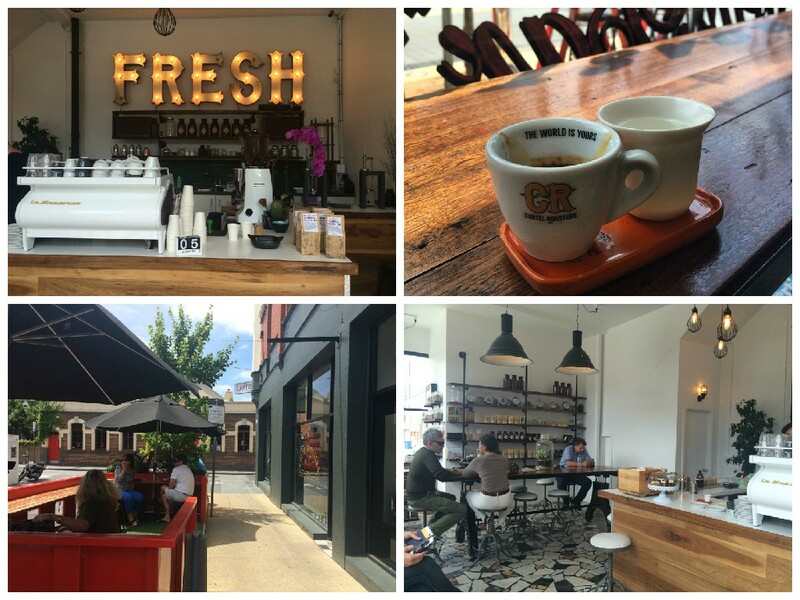 In the south you will find trendy modern Australian cafes and boutique style shopping. The north has been influenced by Geelong’s past migration of Italians and Greeks in the 1950s and 1960s. If you are an overseas visitor or a local and would like to get up close and personal to some native Australian animals then Jirrahlinga is the place to go. It’s not a big place and it runs purely on charity. The staff are extremely knowledgable. It’s a safe haven for injured wildlife. You may be lucky and even get to pat a koala. Once a swamp, then a dam, the area was transformed into a park in 1872, the idea of Mayor Robert de Bruce Johnstone. A large area of green lawns, it’s a nice place to sit and reflect. The park also incorporates the Art Gallery and Library. These gardens are lovely, serene and are well set out for a leisurely meander along it’s paths. It is a conservation site for plants and trees from around the world. It is also a heritage listed site for it’s preserved 19th century gardens. The entry from the street has you entering a contemporary 21st century garden space before eventually finding yourself at the old Victorian style gates that take you through to the original section. Big rock and flinders peak with panoramic views over Geelong, Melbourne and beyond. Picnics, bbqs, pit fires in winter, mountain bikes, hiking tracks, views peaceful walks. Spotting wildlife you may be best to go early morning or just on dusk. 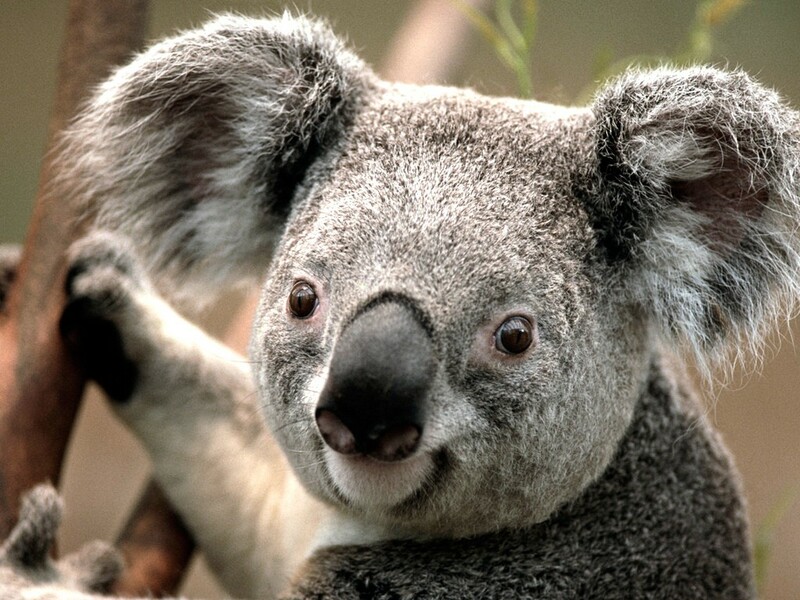 If you are lucky you may spot a koala. There is also dedicated areas for mountain bike tracks and is hugely popular pursuit. The scenery is typically Australian bush, may not be pretty but hold lot’s of wildlife if you keep your eyes peeled. Birds etc. Not really frequented by tourists, mainly a place locals go. A bird sanctuary with lot’s of walking paths and islands alongside the Barwon River. Have a picnic under the gum trees, Among the birds you will see are swans, pelicans, Eurasian coot, dusky moorhen, Pacific black duck, mallard, pied cormorant, geese and silver gulls. Brougham Street Market is located in the CBD not far from the waterfront. Set inside a 100 year old building, you’ll find it a fascinating place to fossick around and reminisce. This place is huge, so you will easy spend an hour or two wandering about. 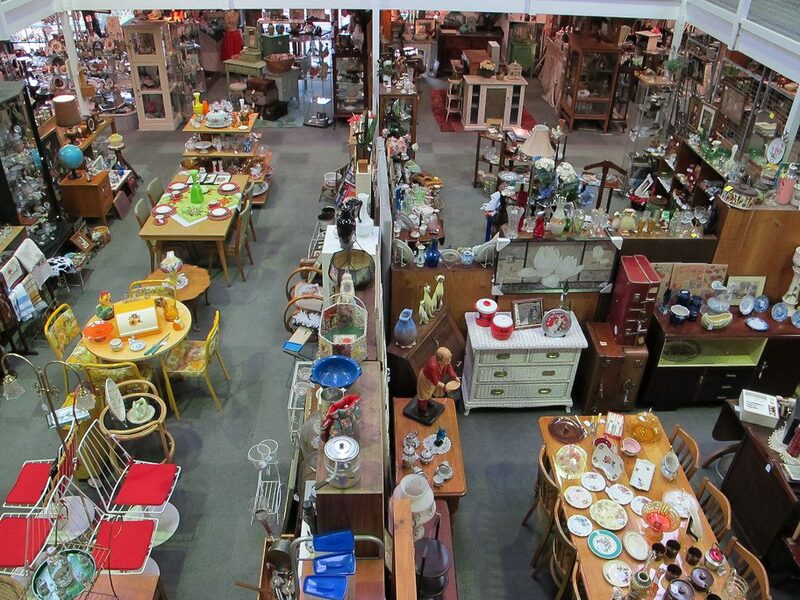 The market sells vintage clothes, antiques, furniture,collectables and of course expect the unexpected. Held on the first Sunday of the month, the Steampacket Market sets up on the open lawn along the waterfront. A market that features artisan and craft people, plants, furniture, clothing, gifts and food. The Belmont Market is a popular bric-a-brac market that draws in huge crowds every Sunday morning until the early afternoon. Between October and May is the season to see dolphins, and what better way to experience this than to swim with the dolphins. See All Dolphin swims offers this unique opportunity. They offer half day tours in Port Philip Bay, leaving from Queenscliff. Highlights of the trip include snorkelling at Popes Eye, Chinaman’s Hat, where you can see a colony of fur seals and then ending the trip with (hopefully) spotting the dolphins. Want to test your problem solving skills? Then check out the Escape room, which is a themed interactive experience, designed to test your problem solving skills and how well you can work as a team. The clock is set to 45 minutes and it’s a race against time to find clues, solve puzzles and progress from stage-to-stage until you ultimately escape. ‘Escape Room Geelong – The Mad Scientist’ opened on 3 December 2015 in Belmont and has had over 400+ visitors from local, interstate and international destinations. Learn to surf, Kayak or SUP with lessons available at a range of beaches within the region. With world class venues such as the Sands in Torquay and 13th Beach in Barwon Heads, along with various courses located around Geelong. A complete list of golf venues in and around Geelong can be found by hitting the link. There are two playgrounds along the waterfront. One is located beside the children’s pool, catering for both bigger kids and toddlers, whilst the second playground is located near the skate park and suited to smaller children. Victoria’s biggest theme park located just 20 minutes drive from the centre of Geelong. The park is open during the warmer months from 31st October through to April. It’s predominantly a water theme park and offers around 21 rides and attractions. A great venue for a family day out especially on a warm day, kids and teens seriously love this place. A Maze ‘n Games offers fun activities for the whole family. Lose yourself or the kids in one of Australia’s largest timber mazes, try your hand on the 18 hole mini golf course, or solve some of the large range of puzzles. 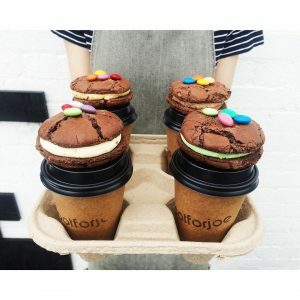 There is a cafe serving home made cakes, light snacks and coffee, along with BBQ facilities. Public skating from Friday evening through to Sunday afternoon, and extra sessions during school holidays. Rollerway in Newtown, Geelong, is one of Australia’s longest operating skate centres. 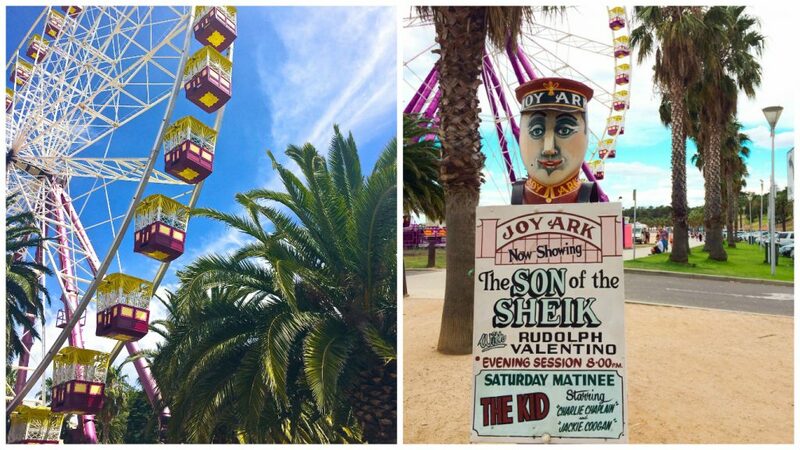 Geelong families have enjoyed this fairytale adventure park for decades since if opened in 1959 as Australia’s very first theme park. 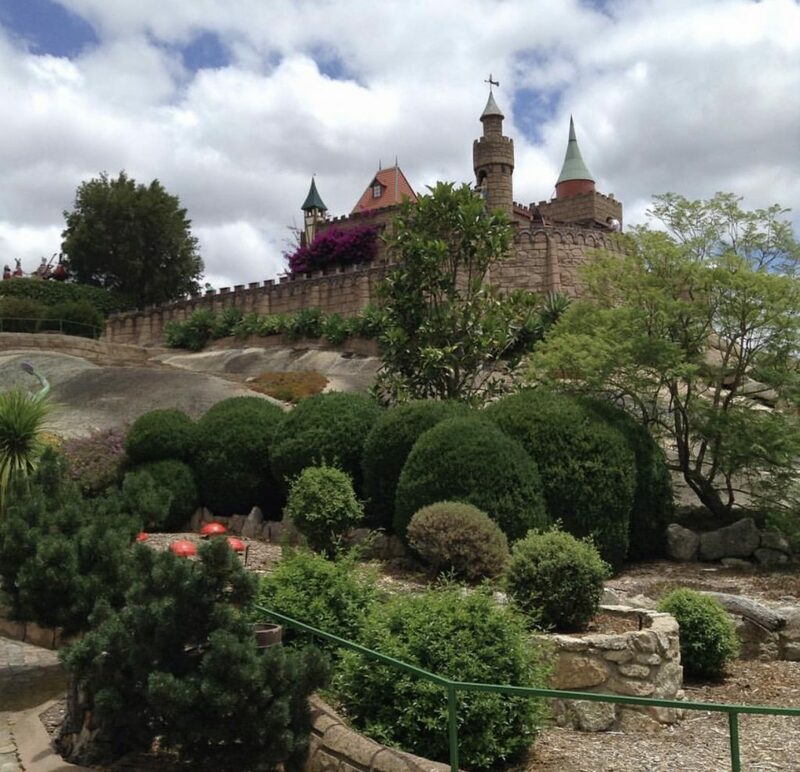 From humble beginnings this fairytale land has evolved into something magical that kids love. There are 36 interactive fairytale displays that will take you around 3 hours to complete. Each display is based on traditional fairytales such as Jack and the beanstalk, goldilocks and Cinderella. Each are housed in specially stylised buildings of castles, cottages and caves and all set amongst neatly kept gardens, giant boulders and lovely water features. Indoor rock climbing centre in Newtown Geelong. A great place to keep the kids entertained for hours. Featuring Laser quest, video and arcade games. Take the kids down to the waterfront in the summer for some bungee trampoline fun. The bungee trampolines are located in Steampacket gardens during the summer season. 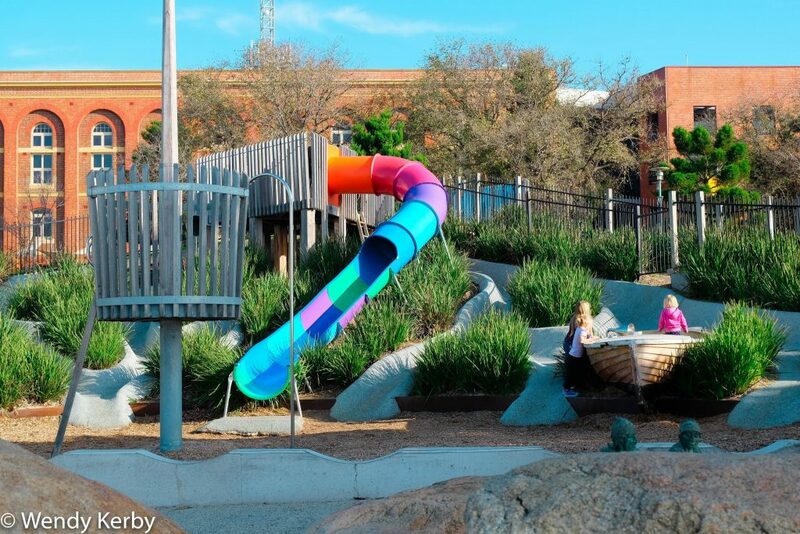 The Geelong Play Space is anaward winning facility situated next to the Geelong Botanic Gardens. The play space is designed as an inclusive area for children of all ages and abilities. The space has a Liberty Swing that enables children in wheelchairs to appreciate the joy of using a swing. The key to the Liberty Swing can be collected from the National Wool Museum – 26 Moorabool Street or The Carousel on the Waterfront. The Barwon Valley Fun Park is a fantastic park located beside the Barwon River. It offers a multitude of activities, such as playgrounds, cycling paths, river walks, BBQ’s, picnic tables and a basket ball/netball court. Best of all it’s free! An outdoor plaza like park, with a cutting edge design. The well constructed park consists of rails, stairs, manual pads, ledges, hubbas and metal edged banks. Great for skaters, BMX riders and scooters. Located west of Cunningham Pier on the waterfront. A favourite with the locals, is to head to Eastern Beach with a piece of cardboard and slide down the steep grassy hills. These hills are steep, so you can get some real momentum up, as you slide down to the bottom. It’s a case of BYO cardboard, although sometimes there may be some cardboard left behind. 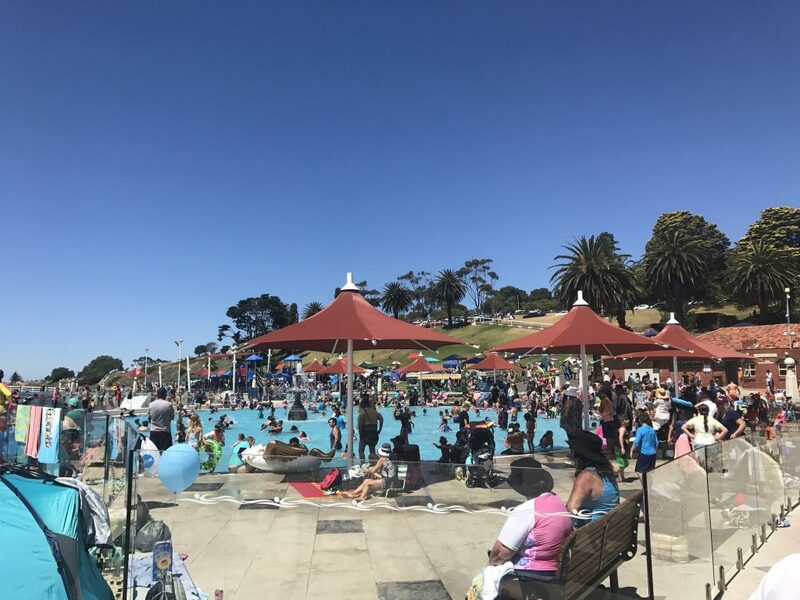 Kardinia Pool is seasonal opening from October to end of April. Leisure Link is open all year round. 20 km of walking track around the river is a nice stroll or bike ride or if you are a little fitter a great place to have a run. Quiet and peaceful way to get into nature. The hottest night out in Geelong! A full house every weekend, in this little intimate venue, the locals just can’t get enough of Piano Bar. This is Victoria’s only dedicated piano bar, with amazing performances that involves crowd participation in singalongs with the ‘piano man’. The atmosphere at this venue is unbeatable. Be warned you will need to book in advance. The Festival of Sails is the largest annual keel boat regatta in the Southern Hemisphere with over 300 yacht entries and 3,000 competitors annually taking part in the event. First held in 1844, the Festival of Sails Regatta is one of the nation’s oldest sporting events, and has evolved over many years culminating in its current format as Australia’s foremost keelboat regatta. Running alongside the sailing action, the free community Waterfront Festival features numerous acts across three stages and a multitude of stallholders to provide you with fine food and wine, live music, entertainment and roving performers, art and craft market stalls, novelty stalls, an on-water Come & Try Zone and a dedicated family friendly kids zone all along the stunning Geelong Waterfront and in the Royal Geelong Yacht Club. The Festival of Sails promises something for all, thrilling sailing action, exciting on water activities for all to try, and a great way to spend quality time with your family over the Australia Day Long Weekend. On a Saturday in February the streets, laneways and footpaths of Geelong CBD will be busy with walkers with the ultimate cellar door experience. Geelong’s best heritage buildings open their doors, in a self-guided wine tasting experience. A full circuit of the incredible Geelong Heritage Wine Walk is under 3km. Held at the Geelong Racecourse, this ticketed event showcases over 200 beers and ciders. There is entertainment all day with 3 stages and over 20 acts and roving performers throughout the crowd. Pako Festa is the largest free celebration of cultural diversity in Australia! Every year, since 1983, it attracts scores of people from our local and cultural communities, professional performers, community groups, schools, businesses, street traders and artists from all walks of life. The Rip Curl Pro is the longest running professional surfing contest in the world, 2016 saw the 55th running of the event. In 1973 Rip Curl put up the prize money that turned the event into Australia’s first ever pro surfing contest. Every Easter trademark swells roll into The Bells Bowl providing consistent waves for the world’s best to battle it out and deliver a show for the thousands of fans lining the beach and grandstands. Location: Bells Beach is a world renowned surf beach located 100 km south-west of Melbourne near Torquay, a coastal locality of Victoria, Australia. Now in its 15th year, the 2016 Toast to the Coast Festival will be bigger and better than ever! Enjoy two days of fun, food, wine & entertainment amongst the vines. Held on Geelong’s picturesque waterfront precinct in late November, this action packed motoring festival is an event not to be missed! The event stands for all things vintage, from the largest companies, down to the backyard builders. Take pole position for the historical quarter-mile sprints, as over 400 classic and exotic cars and motorcycles sprint down Ritchie Boulevard at full throttle. The Geelong Waterfront will be covered with over 600 quirky, valuable and fascinating vehicles, and is guaranteed to please anyone with an appreciation for unique vehicles. The Geelong Revival Motoring Festival is the ideal way to spend a day out with the whole family, with the festival featuring live music, trade expo area, delicious food and entertainment. Also featuring vintage caravans and the vintage Fashion Awards. Geelong comes alive in December as the Christmas spirit takes hold. Nowhere in Australia does Christmas quite like Geelong! 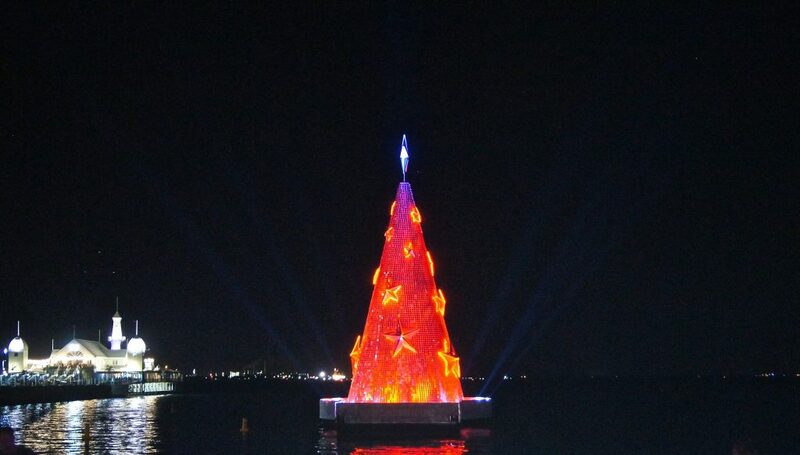 Geelong has Australia’s tallest and only floating Christmas tree, standing 25 metres high. Each night from late November to early January, the tree lights up to a soundtrack of christmas carols. A walk around the CBD will take you various christmas themed activities and sites. There’s nothing like a Sunday drive to broaden your horizons and taking in the scenery. Begin your driving journey at Geelong, passing through the towns of drysdale, Clifton Springs, Portarlington, Indented Head, St Leonards, Queenscliff, Point Lonsdale, Ocean Grove and finishing at Barwon Heads. Begin your journey from Geelong, passing through the beach side towns of Torquay, Anglesea, Aireys Inlet, Fairhaven and Lorne. An opportunity to spot native animals in the wild can be found along the Great Ocean Road, such as Koalas and kangaroos. Kangaroos roam freely on the Anglesea golf course (they aren’t bothered by the golfers who share the course with them) and look up into the trees and you might spot a koala. The 12 Apostles is a collection of limestone stacks off the coast of Port Campbell. A world class tourist attraction, 2.5 hours drive south of Geelong that sees around 5 million day trippers visit per year. Leaves on the hour every hour, from 7 am to 6 pm, seven days a week. The 40 minute journey takes passengers from Queenscliff to Sorrento passing 12 landmarks on the way. You may even get lucky and spot some dolphins and seals on the way. Getting to Geelong is relatively easy, with the two main ways for tourists to reach Geelong being either via the train from Melbourne or from a domestic flight to the Avalon Airport. There is currently a third option currently being trialled (High speed Ferry from Portarlington to Docklands Melbourne). Travelling to Geelong from Melbourne is a fairly simple process. All Geelong bound trains leave from the Southern Cross station, which is located on the outer edge of the Melbourne CBD in Spencer Street. The first thing you will require is a Myki card which will enable you to ride the Victorian transport system (buses, trains and trams). A myki card can be purchased at the train station itself or at any 7-Eleven stores. The initial outlay for the card is $6 and you will then be required to load the card to cover the cost of the journey. A one way journey from Melbourne to Geelong will cost around $8 for off peak times (between 9 a.m and 4 p.m) and $11 at peak times. How to identify which train is the Geelong train. Look for the arrival and departure screens within Southern Cross station. For the Geelong train, you will be looking for the following services: Waurn Ponds, Marshall, South Geelong or Geelong service. If you see any of these end points displayed then you will be on the right train, you just need to get off at the Geelong station. If you have luggage, there are overhead racks for small cabin bags and at the end of each carriage is a section for large cases. This service can be extremely busy during peak times, so if at all possible try and catch a train in the off peak time. The journey takes around 60 minutes. 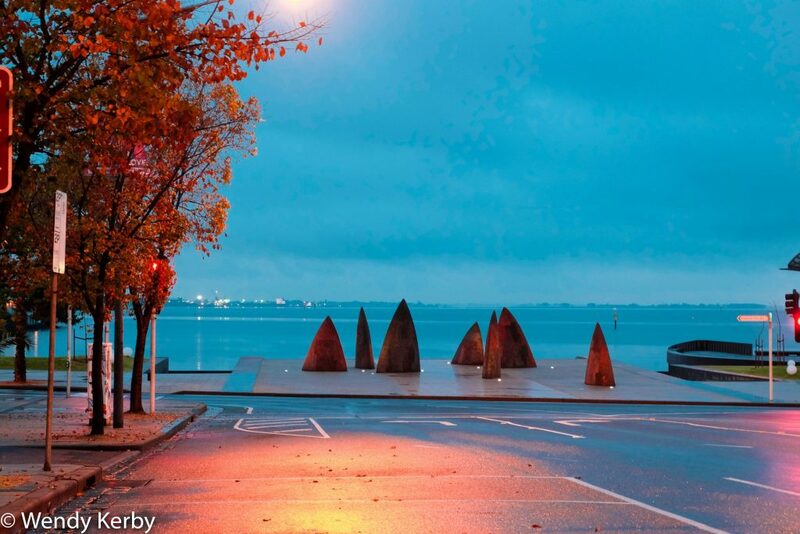 Driving around Geelong is relatively easy and it’s well worth hiring a car for a few days to explore the region. Car rentals are located throughout the city, with all major companies represented. There are two bus companies that service the Geelong region. The main bus terminal is located in Moorabool Street Geelong. Servicing Geelong is the Benders Busways and for the Bellarine Peninsula and the Surfcoast you will be looking for a McHarry’s Bus. Popular coastal areas are Queenscliff and Torquay. There are two companies that serve Geelong and it’s outer regions. The Geelong Taxi Network will service the Geelong and the Surfcoast, whilst Bellarine Peninsula Taxis service the Bellarine Peninsula. If you are staying within the city, there are a number of taxi ranks throughout. The main one being located along Moorabool Street. All taxi’s are metered and in Geelong, taxis commence with a $3.70 charge to the meter. Uber Taxis can also be found in Geelong as an alternative to the official Taxi companies. Geelong is served by Avalon Airport which provides domestic travel within Australia and is located just 20 minutes from Geelong. A shuttle service meets every flight that lands at Avalon. These services will then transport passengers to Geelong, the Surfcoast and the Bellarine Peninsula. Avalon is a simple option if you are intending to fly to Sydney via the budget airline Jetstar. 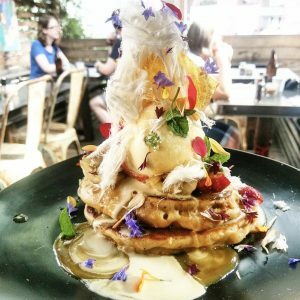 Being only a 20 minute drive away, it’s a far more attractive option than catching a train back to Melbourne and then using the SkyBus to get to the Melbourne airport. I am following you on Instagram as well, very awesome collection of photos. Hi Rami, thanks so much. I’m glad you liked it and it is a great place to live too!